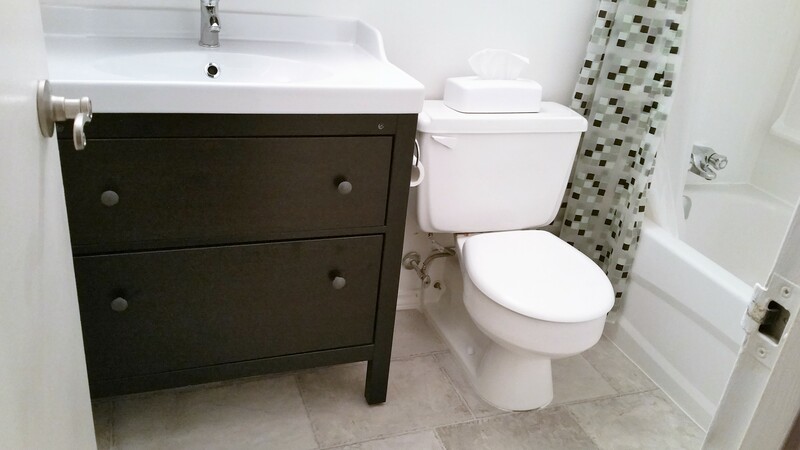 The bathroom was upgraded in January, 2016 with a brand new tub/shower, lighting, vanity, medicine cabinet and vinyl floor. 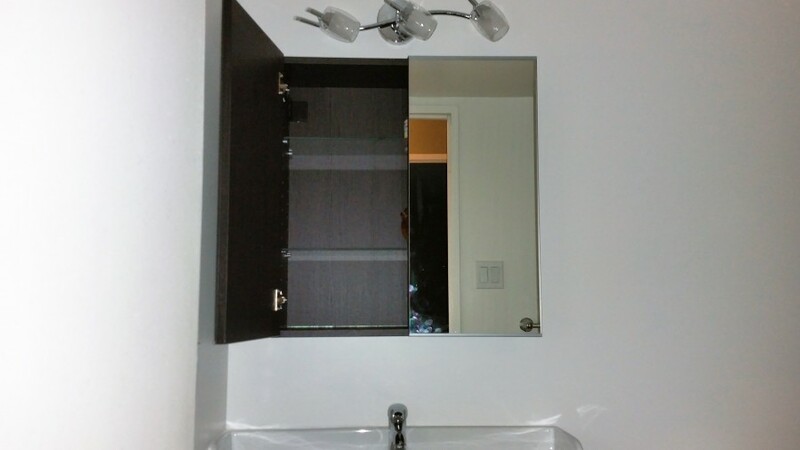 The two drawer vanity has a very modern look and feel. 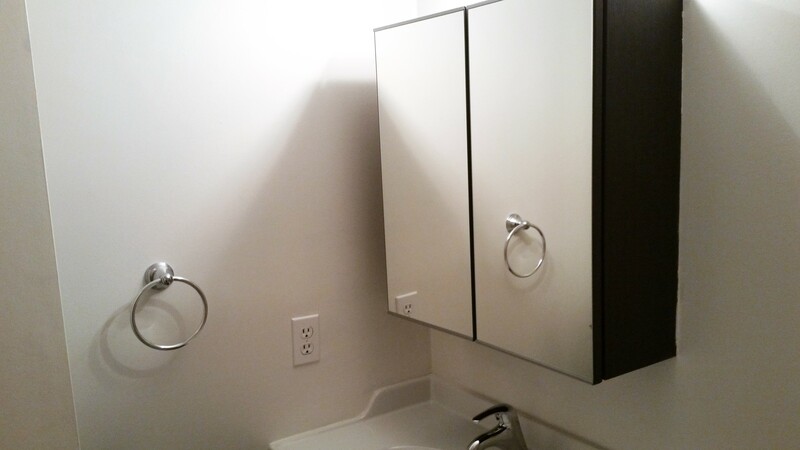 The large medicine cabinet will give you ample space to store all your personal toiletries. 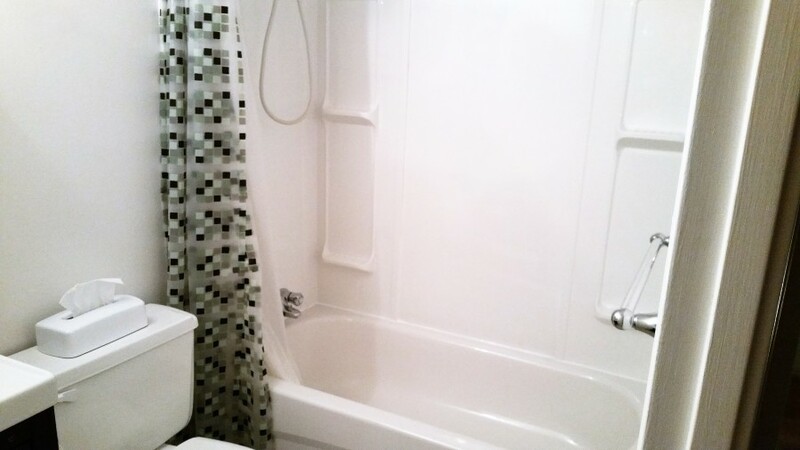 There are enough towel racks to hold 4-5 full towels and a facecloth, which is perfect for a small family, or a messy teenager. The vinyl floor is easy to maintain and has a warm look.